← What is Health Freedom? Did you know Homeoprophylaxis was developed at the same time as the smallpox vaccine? And that the cowpox vaccine for smallpox worked by the homeopathic law of similar disease? Historically, with the smallpox epidemics in Europe, it was observed that those who previously contracted cowpox were immune to smallpox. This observation led scientists to the idea of inoculating people with cowpox disease to prevent smallpox. This was the first vaccination used on people. The inoculation material produced a mild local infection similar to that of smallpox and in some people generated life-long immunity to smallpox. At this same time homeopaths developed a homeopathic preparation of the smallpox vesicle and used this with equal effectiveness for the prevention of smallpox. This homeopathic nosode is called Variolinum. Scientists researched the potential of preventing other diseases by introducing live viruses to stimulate immunity. 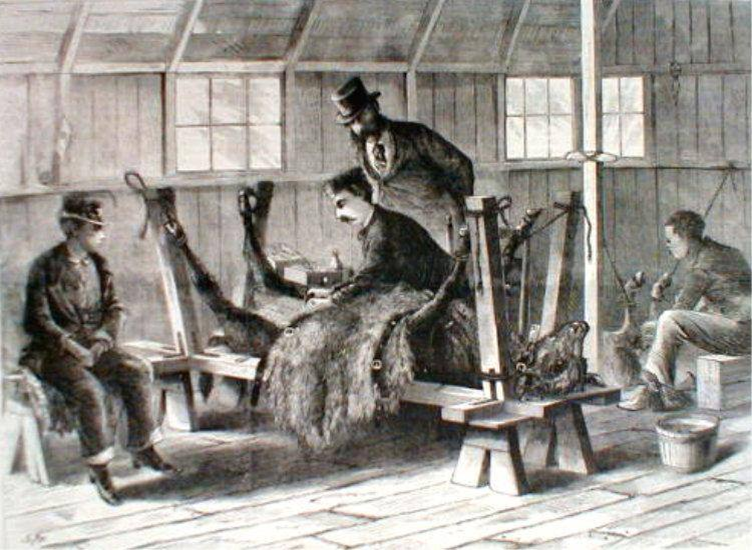 Experiments were begun with dogs and the rabies virus. Unfortunately, this method killed many dogs until Louis Pasteur had the idea to incubate the virus in rabbits to lessen its virulence. This was the first attempt at attenuation, or the weakening of the virulence of a disease. This method of attenuating the virus in another host species tissue is still used today in the production of vaccines. Homeopathic attenuation is done instead through dilution and succussion. The final product not only has the original pathogen but also the possibility of pathogens found in the host cell culture,[i]; [ii] viruses, and also DNA from the host cells. In addition, vaccines are loaded with a variety of other ingredients such as bovine casein, peanut oil, antibiotics, yeast and also aluminum adjuvants, which force the immune system into a hyperactive allergic response. In flu shots, the preservative Thimerosol, which contains mercury, is used. Vaccines are injected, which bypasses the peripheral aspects of the immune system. The vaccine schedule now lists multiple diseases to be given simultaneously and repeated often in a short amount of time. Infants’ immune systems are too immature to develop the appropriate immunological response to so many diseases at once. It is for these reasons we need Homeoprophylaxis (HP). It is a time-honored practice of infectious disease prevention and its effectiveness is well-documented throughout history.. [vii] The difference between homeoprophylaxis and vaccination is the method of attenuation, delivery, and dosing schedule. HP nosodes only contain a simple dilution of the original disease material, where the solution contains the memory of the substance only – nothing else; no chemicals, no additives, no antibiotics. HP is given through the mouth in small pellets, so the intestines, where 80% of immunity resides, can recognize the disease material and start the work of building immunity. HP gives one single disease at a time. Developing immune systems are unable to resolve too many diseases at once. This is the safest and most natural way to allow sufficient time for developing immune systems to identify, mount a natural response, and resolve this immune system stimulation. The end result is pure education of the immune system in how to mount an appropriate response in an unconfused way. But because there is actually no disease particle present in the final solution there is no risk of harm and the reactive process just passes on its own, leaving its imprint in the memory of the immune system. With Homeoprophylaxis you get the learning of the disease without the suffering and without the attended side effects of vaccines. It educates children’s immune systems gently and safely. [i]. Gaithersburg, MD. “Vaccines and Related Biological Products Advisory Committee.” FDA Center for Biologics Evaluation and Research. 2010-05-07. [ii]. Hooper, Edward. “The River: A Journey to the Source of HIV and AIDS.” Boston: Back Bay Books, 2000. [iii]. Scheibner, Viera, PhD. “Adverse Effects of Adjuvents in vaccines.” Nexus 12-2000 & 2-2001. [v]. Harris, Gardiner. “Deal in an Autism Case Fuels Debate.” New York Times. March, 2008.
vi. Hahnemann, Samuel. “The Cure and Prevention of Scarlet Fever.” Lessor Writings. B Jain Publishers, New Dehli. [vii]. Bracho, G, Varela, E.,Fernandez, R., et al. “Large-scale application of highly-diluted bacteria for Leptospirosis epidemic control.” Homeopathy. 99 (2010): 156-166. This entry was posted in About HP, Uncategorized, Vaccines & HP and tagged homeopathic vaccine alternative, Homeoprophylaxis history, safe vaccines, Vaccine attenuation, vaccine history, what is a nosode. Bookmark the permalink.